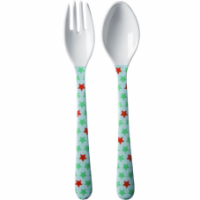 Melamine cutlery by Rice DK. 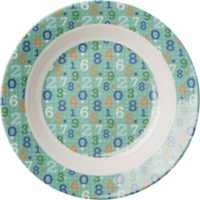 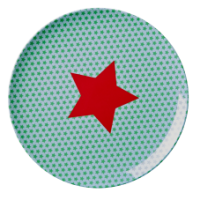 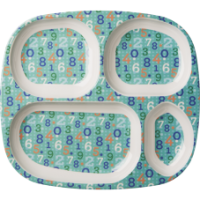 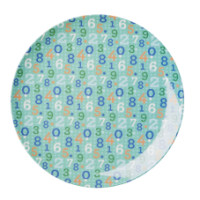 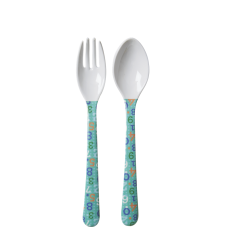 This kids fork and spoon set has a retro number print on a green background, which matches a melamine cup, bowl, and plate, match to make your own dinner set. 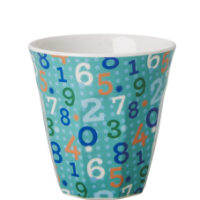 Or match with the plain coloured melamine by Rice DK.